In early 2010, conflicts between China and the US came thick and fast, leading to the most serious political disturbance between the two countries since the plane collision in 2001. At the beginning of April, as the heads of both countries talked over the telephone and Chinese President Hu Jintao attended a nuclear security summit in Washington, Sino-US relations became less tense. Tensions were further eased by the Second China-US Strategic and Economic Dialogue held in Beijing in May. But at the same time some deep-laid contradictions between the two countries are becoming more acute. The recent US-South Korean military exercises in the Yellow Sea showed that a Sino-US strategic consensus has not yet been established, while strategic mistrust has deepened. Let’s examine some factors that have affected Sino-US relations since 2003, when Sino-US relations were arguably at a high. In 2003, then US President George W. Bush’s popularity was still relatively high, and the Republicans held the presidency, senate, and congress. Today US President Barack Obama’s popularity is waning, suggesting his control over Sino-US relations is weaker than Bush’s. At the midterm elections in November, the Democrats will face a stiff challenge from the Republicans, and China may be increasingly targeted as a result. In the US State and Defense departments, hardliners on China are gaining ground. In 2003, the two countries saw many trade frictions, and the US also raised the issue of the yuan exchange rate. But, current Sino-US trade frictions have extended to financial fields that previously had a positive effect on bilateral relations and the problem of the yuan exchange rate has become highly politicalized. Meanwhile, some transnational corporations, such as Goldman Sachs, Google and General Electric, have become very discontented with China’s policies of fostering homegrown innovation. Economic and trade conflicts have become serious barriers to developing a bilateral strategic consensus. Sino-US military exchanges were interrupted by the air collision in 2001, but Chinese Defense Minister Cao Gangchuan’s visit to the US in October 2003 marked the “full restoration” of bilateral military exchanges. Nevertheless, early this year, military exchanges were frozen again due to US approval of arms sales to Taiwan, and officers in the military of both nations are voicing more antagonistic sentiments. In 2003, the Chen Shui-bian administration was advocating for changes in Taiwan’s status. But at that time, the US was busy with Iraq War and counter-terrorism, so the US accused the Taiwan authorities of disrupting the status quo of cross-Taiwan Straits relations and the US regarded Chen as a troublemaker. Bush and all the senior officials in charge of US-Sino affairs declared on many occasions that the US supported for one-China policy and did not support the independence of Taiwan. In 2003 tripartite talks between China, the US and the North Korea were held, as well as the first round of Six-Party Talks. But seven years later, North Korea has conducted two nuclear tests, and a new round of Six-Party Talks is far off. The Cheonan incident, where China refused to support the West in blaming North Korea in the UN, further worsened multilateral relations. China and the US both regard the other side as playing a negative role in dealing with North Korea, and strategic mistrust has arisen as a result. Sino-Japanese relations have been a counterbalance to Sino- US relations since the end of the Cold War. In January 2003, then Japanese Prime Miniter Junichiro Koizumi paid homage to the war dead at the Yasukuni Shrine, arousing indignation in China. In the following couple of years, Japan’s image in China was worse than that of the US, and in 2005 there were widespread anti-Japanese protests in China. However, since Sino-Japanese relations began to improve in 2006, contradictions between China and the US have sharpened. Today, the Chinese people’s nationalist sentiments are mainly focused on the US rather than on Japan. Around March 2003, when the US launched the Iraq War, the US contradictions with countries like France, Germany and Russia and the Islamic world were very acute, and all over the world, anti-American sentiments soared to unprecedented level. China took a neutral position, for which the Bush administration was grateful. But today’s situation is quite different. The US is dissatisfied with China’s attitude toward the Iranian nuclear issue. China did not respond to Obama’s call for a “non-nuclear world” readily, and the US military and diplomatic arrangements among China’s neighbors also set China on its guard. In 2003, the fight against SARS promoted the two countries’ consensus on non-traditional issues, but some unpleasant clashes also occurred at the UN Copenhagen Climate Change Conference in late 2009. On climate and energy issues, both sides have large populations who are deeply skeptical of the other side’s pledges and motivations. In December and November 2003, Hu Jintao and Wen Jiabao expounded on China’s peaceful rise. At that juncture, US observers believed that China’s long-term development direction was to integrate into the West-led international order. But today the US media increasingly see China as a threat, and also labels it as such increasingly. In China, as indicated by the publications like Currency Wars, Unhappy China, and The Chinese Dream, nationalism and anti-US feelings are rising. Arguments for a more forceful rise and for abandoning long held principles such as non-alignment and no first use of nuclear weapons are also not rare in some Chinese media. The gap between the two countries is also closing. In 2003, China’s GDP was $1.4 trillion, equal to one-eighth of the US $10.9 trillion. By 2009, China’s GDP had grown to $5 trillion, equal to more than one-third of the US $14 trillion. And the US share of the world’s economy decreased from 29 percent in 2003 to 23 percent in 2009. The gap between the two counties’ hard power is reducing fast. Since the global financial crisis, the West’s strength and influence have been reduced, and emerging powers have been playing a more and more important role in the world. Sino-US strategic relations face a significant adjustment process. As China’s strength grows rapidly, China will push harder on the issues mentioned above, and take the initiative on the premise of maintaining stable Sino-US relations. Now, in the game between China and the US, China has more possession of the ball, but the ball is kicked to the US more frequently. 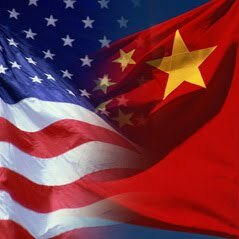 Sino-US practical cooperation has developed a lot both in breadth and in depth since 2003, and the two sides have broad and increasing common interests in many fields, especially in education, public health, energy and finance. But the crux of current Sino-US relations is that on some major strategic and security issues, on which China increasingly attempts to say “No,” there is no immediate prospect of the US changing its position. The gap between the two sides’ perceptions on major international issues is getting bigger. US strategists are still trying to take advantages of China’s weak spots in domestic and foreign affairs. China’s increased power cannot be transferred into initiative and policy levers in dealing with Sino-US relations. It will take a long time for the US to change its China policies. Therefore, in the future the strategic cooperation space between the two will be squeezed, and major competition is inevitable. China’s domestic stability and development are the precondition of the stability and development of Sino-US relations. Only if China deals with its domestic affairs better will there be better Sino-US relations. The relevant departments need to coordinate with each other and keep pace with the central government on major issues.